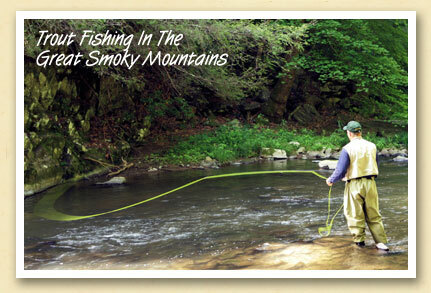 Postcards From The Smokies » Can’t Wait For Trout Season to Begin? Go to Cherokee This Weekend. Can’t Wait For Trout Season to Begin? Go to Cherokee This Weekend. The Eastern Band of Cherokee Indians opens its hatchery-supported tribal waters for fishing on March 28, one week ahead of the North Carolina state trout season. Cherokee’s “Enterprise Waters” include more than thirty miles of clear, stocked streams and three easily accessed ponds. The Fisheries & Wildlife Management program, which manages the tribal trout hatchery, will have stocked 20,000 pounds of rainbow, brook, brown and some golden trout for opening day. The cost of a tribal fishing license, which is all you need to fish tribal waters, is $7 per day, $14 for two days, $20 for three days and $28 for five days. A $200 annual permit is good March 28, 2009 through February 28, 2010. The daily creel limit is 10 for adult anglers and a parent/guardian with a child or children. The tribe offers three handicapped fishing piers which can accommodate wheelchairs. One is located at the fishing ponds in Big Cove and two are along the Oconaluftee River in downtown Cherokee. Cherokee also features a catch & release fly fishing only section — more than two miles long — which begins at the Blue Ridge Parkway bridge on Big Cove Road and ends at the River Valley Campround. This section of stream requires a catch & release special use permit for $20 which is good for a 365 days from the date of purchase and at least a daily tribal fishing permit.